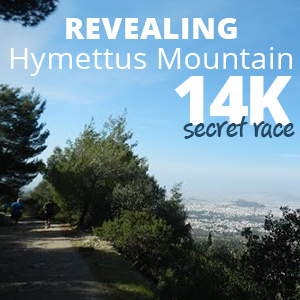 Runningreece participates to the largest and most prestigious road, mountain, and triathlon running races that take place throughout Greece. We also participate to other activities ranging from fun races to cycling, climbing or even simple excursions. So, whether you want to run in the Classic Marathon, 10K or to participate to a free running or cycling meeting either in Athens or on a holiday island, we can assist you to make it happen. On our website you will find plenty of races with detailed information about each one. If, however, none of them is perfect for you, because of the distance, the difficulty degree or because they are away from the place you want and wish to visit, please let us know. We can find the best solution for you, meeting all your needs and desires. Also, you might want to visit a particular place or you might be in Greece for a particular period. Even in that case, we can find and offer you plenty of choices for that particular place and time. 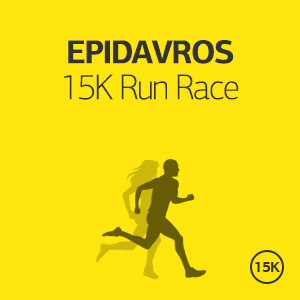 The Metropolitan 10K Road Race of the Efklis Runners Club is one of the newest and most upcoming running events in Athens taking place in a very interesting area where the former Ellinikon International Airport, now replaced by Eleftherios Venizelos was located. There is also a 10K, a 5K and a 2K race for kids. The Omirios Half Marathon in Ios is offering one of the most fascinating half marathon routes crossing almost the whole island, while runners will have the view of the crystal clear blue water of the Aegean Sea. The “Tinos Running Experience”, taking place in a spiritual island, is offering a mix of religious traditions and unspoiled architecture and natural beauty giving to it a particular character. Runners can enjoy beautiful beaches and its traditional villages, the simplicity of the life, the gentle curve of its hills. Syros Run is a fantastic opportunity to discover an island where Greek tradition and western influence come to a harmonious marriage. Explore one of most interesting islands in Cyclades due to its glorious past and unique combination of the Greek Classicism & Rennaisance styles, the Cycladic culture and its Roman Catholic & Orthodox history. The Olympian Run International Series is continuing with Rethymno Night Run! Celebrate the Olympic day joining the Olympians Night Run in the unique city of Rethymno, Crete. This is a great opportunity to explore the city of Rethymno and enjoy Crete at its best! Rethymno combines history, beauty, and great gastronomy tradition. Fortetza is the Venetian castle of Rethymno nearby center of the old town and visible from all parts of the city! The West Mani 10K in Messinia, offering a great chance to enjoy running at the waterfront of one of the most beautiful locations in Greece with countless kilometers of coast line and swimming in the crystal waters taking advantage of its unique landscapes. Chios Half Marathon is a fantastic opportunity to discover a diverse and fragrant island. Medieval mastic villages, beautiful beaches, old mansions with stone pebbled courtyards, village castles perched on rocks, museums and Byzantine monuments, explosive customs, impressive caverns, Oinousses and Psara isles, long-lasting traditions, History, distinguished personalities, culture, architecture, nature and a thriving city form a unique waiting to be discovered destination. Run “Syros City Trail” and discover an island where Greek tradition and western influence come to a harmonious marriage. Explore one of most interesting islands in Cyclades due to its glorious past and unique combination of the Greek Classicism & Rennaisance styles, the Cycladic culture and its Roman Catholic & Orthodox history. Experience a sunset run along the beautiful beaches of Serifos and discover the beauty of an unspoiled Greek island that impresses its visitors with its wild beauty of the hilly bulks and the enchanting island feature of the traditional settlement. The Mykonos Run, is held in one of the most cosmopolitan islands of Greece, Mykonos. Mykonos is the most famous island in Greece with visitors from every corner of the world who are looking for beautiful beaches and crystal clear waters combined with the uniqueness of the white-washed houses and that cosmopolitan feeling. Run the ’Ioannina Lake Run’ and to explore the vivid city of Ioannina, surrounded by abundant natural beauty and endowed with rich historical evidence and experience running along the lakeside of Pamvotis lake. Run the biggest race of 30km lakeside flat asphalt path and achieve your Personal Best! In addition, the flat route will enable you to achieve a Personal Best! Run at the footsteps of Papadiamantis at Skiathos, the most cosmopolitan island in the Northern Sporades. It is truly a paradise on earth, with lush pine forests and crystal-clear azure waters, blessed with more than 60 beautifully clean beaches, including the highly acclaimed Koukounaries Beach, along 40 km of coastline. Run “Andros Trail Race 2019” and experience wild, breathtaking landscapes, scenery and face new challenges! 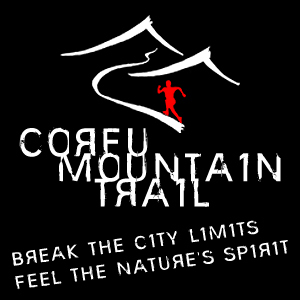 Run through nature’s and man’s amazing “creations” such as old tracks, cobbled old streets, Venetian pathways and certified hiking trails, high mountains, ravines and streams, small oak forests, fountains, water mills, stone bridges, traditional villages, Monasteries and medieval Castles. Explore Andros’ sandy beaches, the rocky coastlines, rich history and elegant architecture. Run ‘Santorini Experience’ and experience stunning scenery in one of the most beautiful islands in the world. Stunning views, amazing swimming and running routes, majestic sunset in one of the top islands in the world are here to amaze you with one of the most extraordinary sports events in Greece. "Navarino Challenge" is multiple award-winning sports event (running, swimming, SUP) which aims to increasse awareness regarding childhood obesity and the benefits of healthy living. Supported by the worldwide famous long distance runner, Dean Karnazes and various popular Greek athletes. It is taking place Navarino area in Messenia, Peloponnese one of the most beautiful and unspoiled landscapes in Greece and it is suported and facilitated by the well known Costa Navarino resort. The Olympians Run International in Ancient Olympia is an appealing new running night run event of low difficulty, which is taking place in a place that has always been a crossroad of civilizations, a place where the East and West meets, where great cultures and religions have been mixed. Ancient Olympia has no need of special recommendations after all is the most glorious sacred place of Ancient Greece where the ancient Olympic games where held for centuries. Athens “The Authentic” Marathon is ready to welcome more than 50,000 runners of all ages from 105 different countries alll over the world. Every year 14,000 of them running the entire Authentic Marathon Course, also known as The Classic Marathon. A celebration of human will and mind, of solidarity and primary values, conversing the message of a better future at personal, community, national and international level.